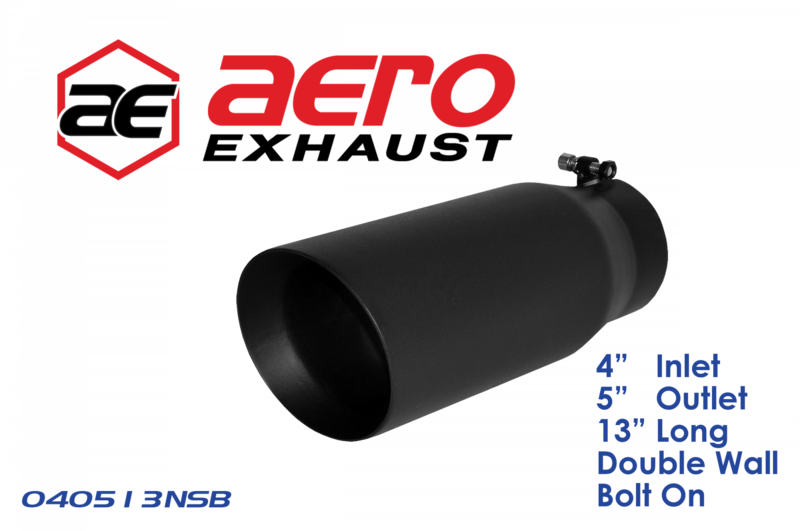 High Quality Stainless Steel Bolt On Exhaust Tip with Black Coating. 4" Inlet with a 5" Outlet Double Wall and is 13" Overall Length. This will slide over standard 4" Exhaust Tailpipe. Slight 15 degree slant angle of the outlet for a nice finished look in black. This is one of our most popular tips. No Aero Exhaust marking on this tip.